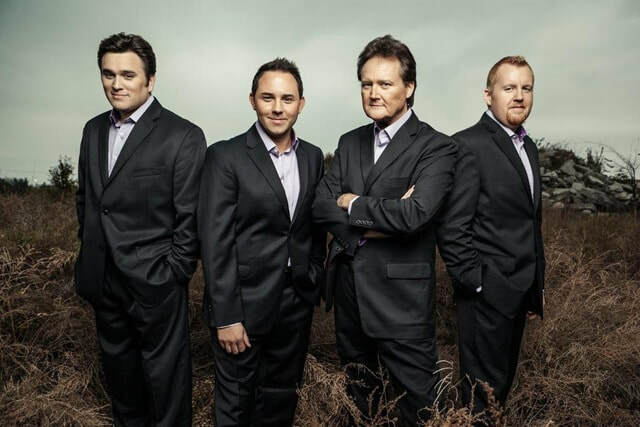 "The Gospel Side Of Elvis"
​​The Blackwood Brothers are an American southern gospel quartet. Pioneers of the Christian music industry, they are 9-time GRAMMY award winners in addition to winning 27 Gospel Music Association Dove Awards, and 5 All-American Music Awards. The group tours regularly and brings the word of Christ through song, to both believers and non-believers alike. The quartet has had the privilege of performing with Willie Nelson and many other great artists. Recently, we have seen our popularity grow among Elvis tribute artist fans, as well. Enjoy a Sunday matinee, March 24th at 3 PM, filled with song and praise and give a warm congratulations to the Blackwood Brothers Quartet on their 85th Anniversary singing Gospel Music.